The Chevrolet Blazer was an SUV that was loved by many, and it’s coming back in 2019 to be loved by a whole new generation of drivers. Are there names that were part of the automotive market as you grew up that you miss? If you’ve longed to see models such as the Ford Ranger, Ford Bronco, Chevrolet Blazer, and others back in the market, you’re going to get to see these offered sometime soon. The Ford pair will make their way to the market for the 2019 model year and it appears Chevrolet doesn’t want to be outdone and will bring back the Blazer name and add it to the lineup to give us more of what we want from this brand. Recently, spy shots have captured a new crossover on the streets of Detroit which will become part of the Chevrolet lineup. 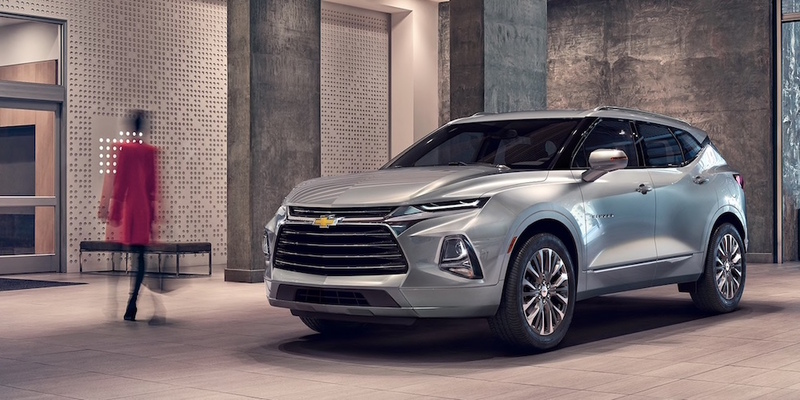 This crossover SUV is expected to be the new Chevrolet Blazer, which means it will be a serious departure from what this nameplate originally brought us. When it was first introduced, the Blazer was a massive body on frame SUV but this new model appears to be poised to fit between the Equinox and the Traverse in the Chevrolet lineup to make sure we can have a vehicle that brings us the ride we want at the size that’s competitive. As the new Blazer is being tested and we see more and more photos surface of the next crossover SUV from Chevrolet, it’s easy for us to already know what this SUV will be and the size to expect. This new vehicle will ride on the Chi platform from GM but on the short-wheelbase version of the platform which is already used for the GMC Acadia and the Cadillac XT5. With this in mind, you can expect the new Blazer to only have two rows of seats for the ride. The power under the hood of this small and active version of the Blazer should come from a 2.5-liter four-cylinder engine or an upgraded 3.6-liter V6. Both of these engines are expected to make use of the new nine-speed automatic transmission that’s offered from GM. This means the new Blazer will be a smooth riding and efficient model that can easily give you the drive you’re looking for and the quality you need when you head out on the road. You’ll certainly be ready to make this SUV the choice you want when you’re looking for an SUV that’s a little bigger than the compact models, but not quite a full-size version. With the news that we’ll see the new Chevy Blazer on the market, the competition for this SUV will include names such as the Ford Edge, Nissan Murano, and the newest Honda SUV that will arrive later this year. We’re not completely sure what the new Chevrolet Blazer will offer, and the interior is still in question, but this SUV is expected to make a debut later this year so that we can get a good idea of what to expect when it does arrive on the market.